Learn the building blocks of democracy from dignified blockheads! 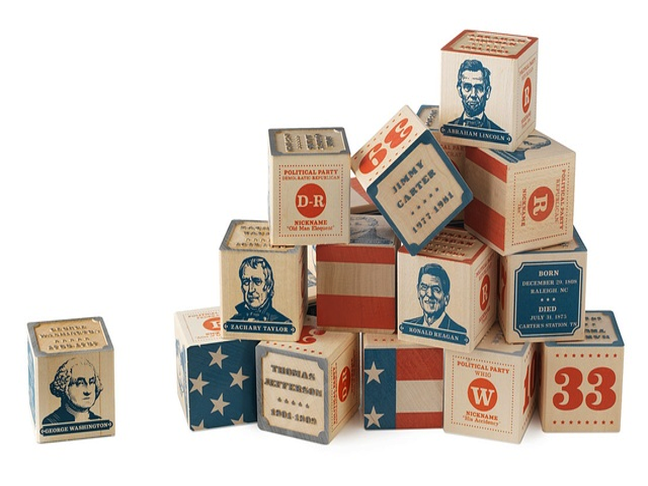 The President Block Set features the faces of forty-four U.S. Presidents and the oval office on cubes that stack neatly into a perfect, forty-five piece set that forms a grand American flag on one side. Each cube presents a face, name, nickname, lifespan, party affiliation, term and number in red, gray and blue ink. 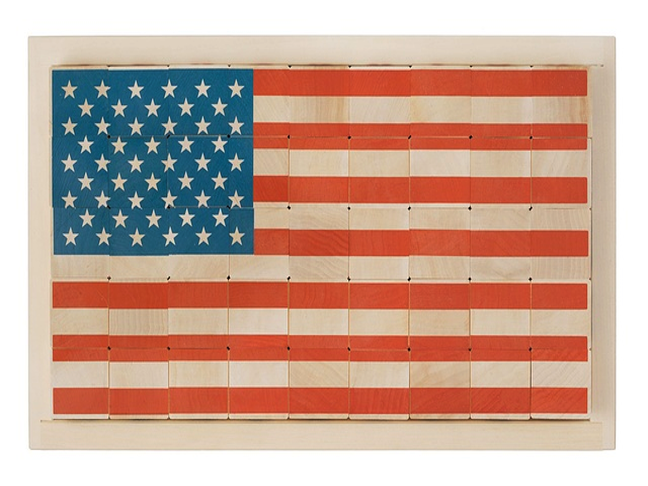 Available for $98 at UncommonGoods.